The champagne is poured, you’re wearing a fabulous party dress and the ball is about to drop – are you expecting him to drop down on one knee and propose? It’s easy to see why New Year’s Eve, with it’s magical sparkly feeling, is a popular proposal day. 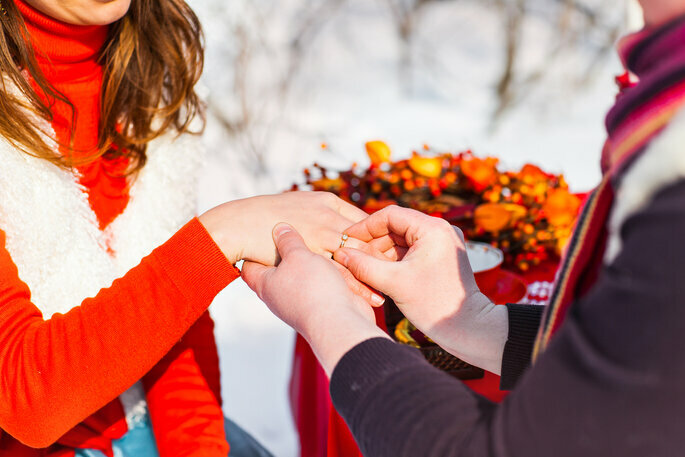 According to The Wedding Report, 40% of marriage proposals occur between November and February with the biggest proposals days being Christmas, New Year’s Eve and Valentine’s Day. So if you’re a potential groom looking for the best time to ask, or a potential bride who’s keen to subvert those old traditions and wants to pop the question first, then look no further! If you’re planning a New Year’s Eve proposal, here are some ideas that are easy to vary and adapt to your circumstances. One of the most romantic ways to get engaged on New Year’s Eve is also one of the most simple: as the bells ring out at midnight to welcome in the New Year, take the opportunity to get down on bended knee and propose to your loved one! The key to the success of this form of proposal is the venue. 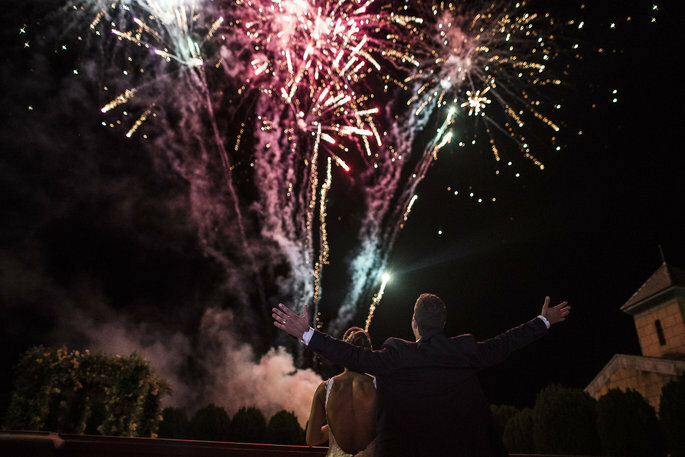 A very busy or boisterous setting with lots of people and fireworks might not be the best place for a quiet and romantic proposal, however it could be perfect if you both enjoy a good party! A New Year’s Eve party can be a great place to get engaged: you’ll be surrounded by friends, the atmosphere will be buzzing with anticipation and eagerness, and it’s a great way to usher in the New Year. When you propose at a New Year’s Eve party you can either pop the question yourself, or if there is a DJ or you know the host, you can ask them to pause the music or play your favorite song on your behalf. If you already have the ring then you could surprise your partner by giving her a special New Year’s dinner with a special gift at the end. This is perfect for occasions where there are just the two of you. 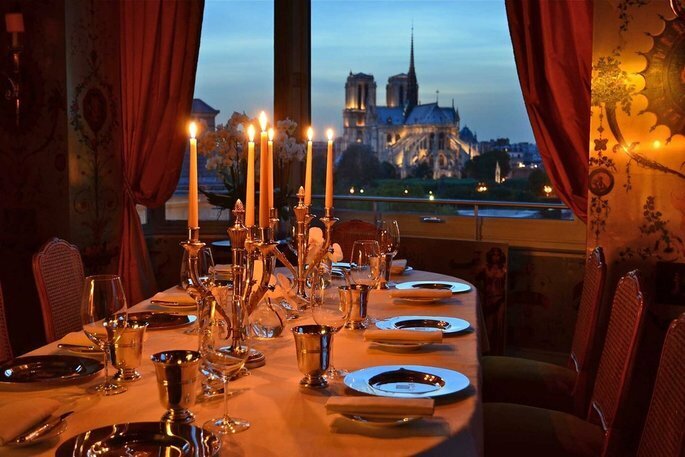 You can arrange a romantic home-cooked meal, or you can book a special table at your favorite restuarant – just be sure to let the staff know your plan. Every year, we all make New Year’s resolutions to be better versions of ourselves, what better way to ring in the New Year (pun-intended) than to vow to get married or engaged? However, make sure you that you still make this a romantic moment – instead of something to be checked off the list! It may be a few months away yet, but if you want to propose at New Year, make sure you’re completely prepared. We wish you the best of luck – and we hope they say yes! The 10 Most Romantic Proposal Spots in France: Make The Most Important Question of Your Life a Memorable One! We are bringing you the most romantic locations for a wedding proposal in France! Choose a snow-topped mountain, or a craggy cliff to ask your beloved the one question they will never forget!